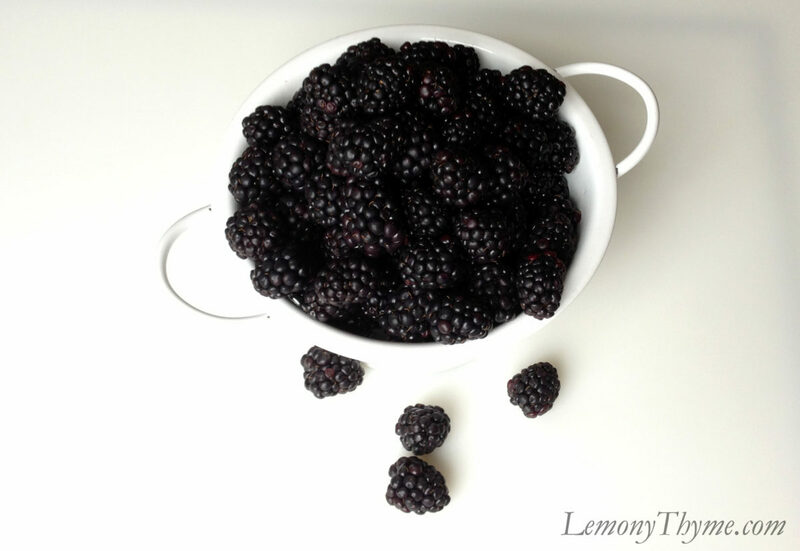 When the blackberries are in season and look this good, I’m hunting recipes to make. This Margarita recipe from Cooking Light was just what I was looking for. Just so happens it makes four two…so I recommend inviting a friend, like I did. Combine water and ½ cup sugar in a microwave-safe glass measuring cup. Microwave at HIGH 2½ minutes, stirring to dissolve sugar; cool. Combine syrup, tequila, Grand Marnier, fresh lime juice, and blackberries in a blender; process until smooth. Strain mixture through a cheesecloth-lined sieve over a pitcher; discard solids. Combine 1½ tablespoons granulated sugar and kosher salt in a dish. Cut lime into wedges; rub rims of 4 glasses with lime wedge. Dip rims of glasses in salt/sugar mixture. Serve margaritas over ice. Garnish with fresh blackberries and lime wedges.